Cornering Mijune and actually meeting up with her is super difficult these days. If it weren't impossible before, it takes a Herculean effort now since she is now a resident judge on Top Chef Canada (renewed for another season too!). Now add in a wild card in Nora, who is also super busy, the impossible happened - we all met up for dessert! Lucky me right? Well, we ended up visiting the Richmond location of Sulmida for some shaved ice and dessert toast. 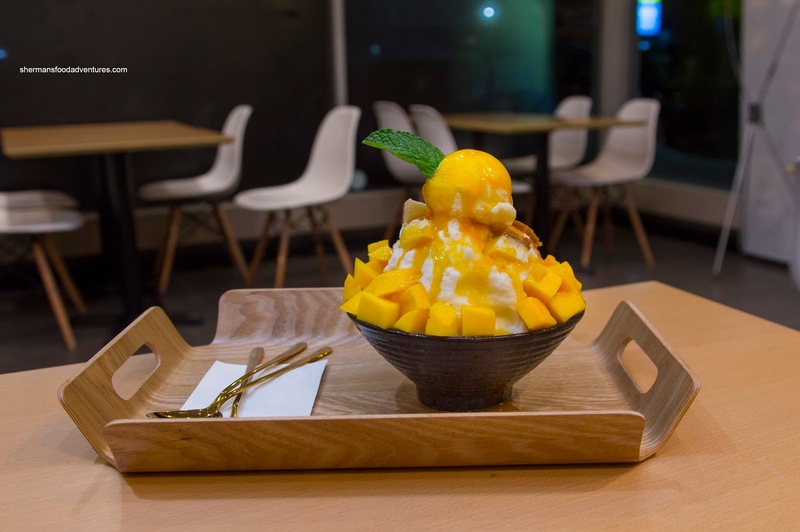 We decided to try the standard in a large order of Mango Shaved Ice (or Bingsoo). This was a decent portion of fluffy and almost creamy shaved ice that was nearly on par with Snowy Village. As evidenced in the picture, the mango was barely ripe which meant it was sweet with a noticeable tang. The conservative amount of mango sauce meant things weren't too sweet. 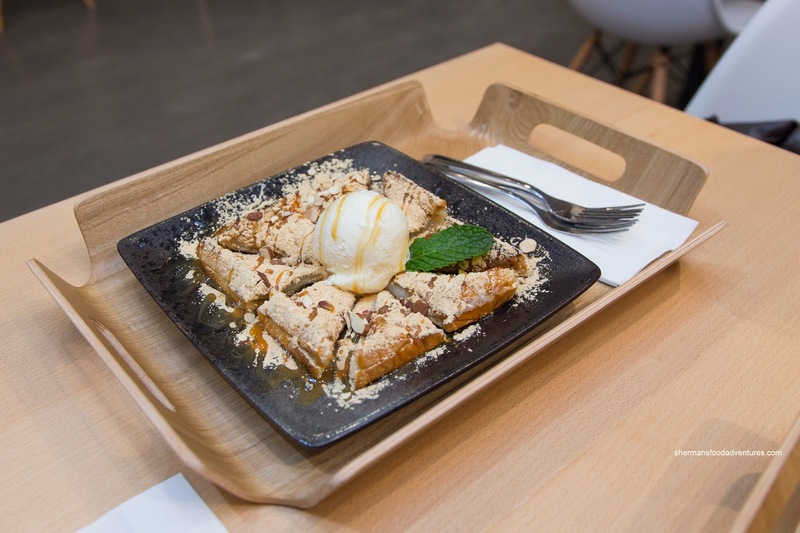 For our second item, we chose the Injeolmi Toast topped with ice cream. I found this version rather flat and lacking in toast. There was a decent amount of rice cake in between that was soft and chewy. The dessert was a lot less sweeter than it appeared, but it wasn't bland. There was a certain powdery nuttiness from the bean powder. On another visit with Nora, we ended up with another mango bingsoo and also a Strawberry Lava Bread (think toast box) with custard and fruit. I wasn't a huge fan of this as the bread was dense didn't have a good mouth-feel. Inside, the whole thing was sweet where it didn't seem to be enough fruit to provide balance. I gave up on this and decided to finish off the bingsoo instead. 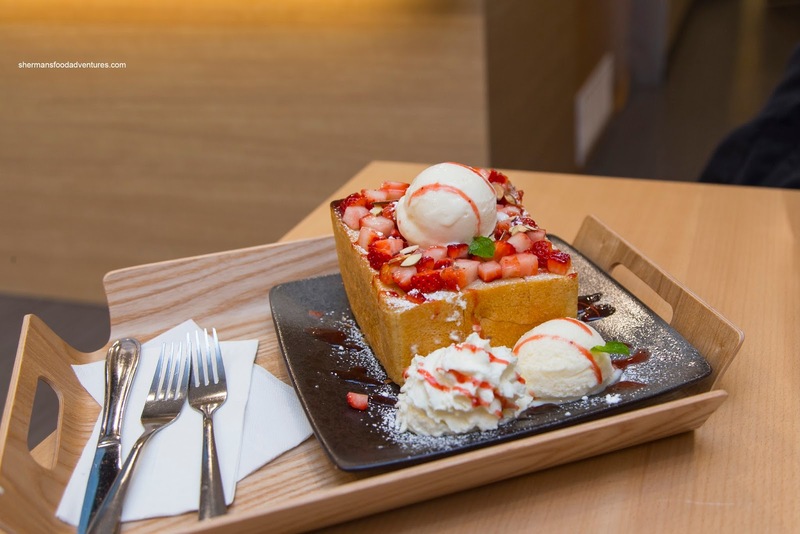 That really summed it up though as the bingsoo is the thing to get here. I really wasn't super impressed with the other items. 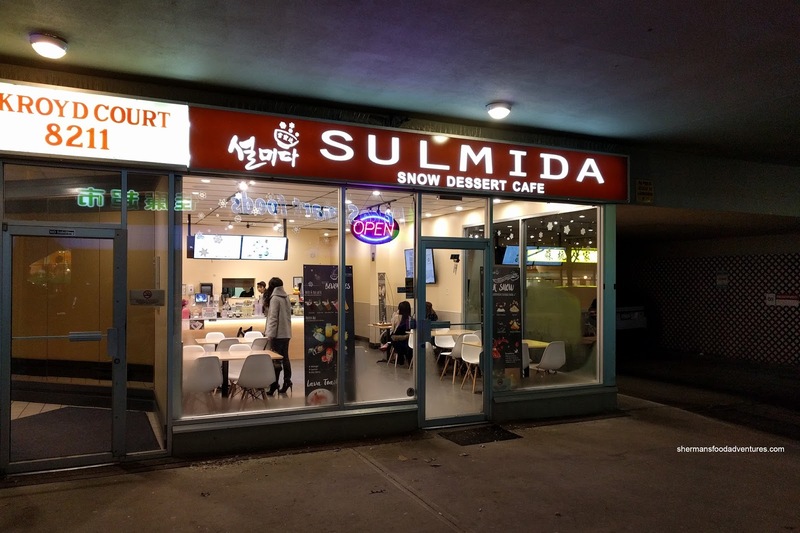 With that being said, I still prefer Snowy Village, but Sulmida does make a decent bingoo still.